It is pretty amazing to know that the small street like Khao San Road has become a popular place to visit. It has become another icon of Bangkok, the capital city of Thailand. 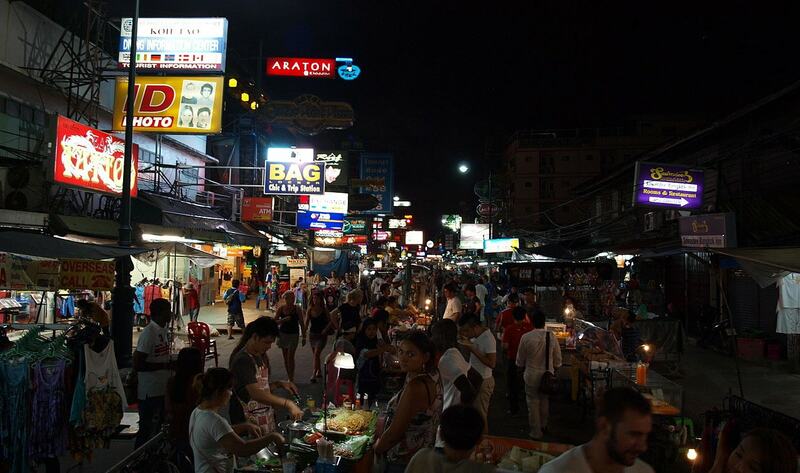 At the moment, tourist seems to be obliged to visit this Khao San Road, even for a short time. This street used to be the main way for trading transportation, particularly rice. 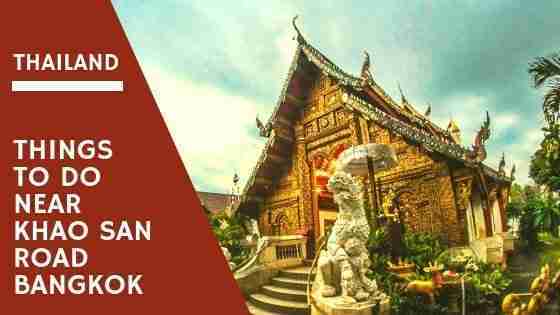 Read about my travel tips before going to Thailand here and things to do in Chiang Mai. These days, everyone notices it as the most jam-packed road, along with various trading activities which attracts tourists worldwide. Bangkok isn’t only proud of having Khao San Road. But, the city should really pay attention to its overall development, as this road has such an increasing rate of visit during the past decade, thanks to its massive arrays of attractions. Here are things to do near Khao San Road, Bangkok. Well, you must have heard about this Bangkok icon, where you can find lots of street vendors selling food, t-shirts, artworks and handicrafts. Anyway, don’t be surprised that several products, imitate popular brands, particularly bags and outfits. You won’t find them unusual as there are lots of cheap bags which resemble the original ones from popular brands. The same thing applies to outfits. If you feel like you don’t need bags or outfits, you can just browse through the road where you can find local foods. There are also fruits from tropical countries that you might have never tasted, or even heard. They are worth buying, though you may need a tour guide to bargain them for you. Khao San Road street is popular for backpackers, though lots of expatriates don’t mind spending time on any bars or cafes throughout the street. Most foods and beverages here are affordable. And things can get crazy at night. It’s always recommended to visit some small restaurants or depots that sell original Thai cuisines. Though you can try various Thai cuisines, you still can find common Western foods like burgers, hotdogs and sandwiches, just in case you can’t stand the spicy tastes of most Asian cuisines. It is not surprising if you feel tired after walking around. Don’t worry. You can find lots of places to enjoy a Thai massage. Just don’t imagine that you are entering a boutique spa with luxurious amenities. The rooms are standard, though they are mostly clean and comfortable. Native Thai massagers are perfect in providing relaxation massage. You may not be satisfied by visiting Khao San Road. You can explore more around Khao San Road. 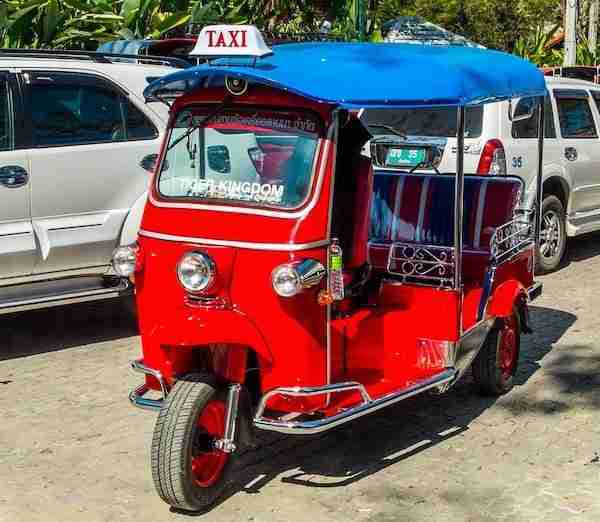 Note: It’s recommend visitors to avoid the tuk-tuk, as many of its drivers are scammers. There are several public transportations that can take you around to other places nearby Khao San Road. 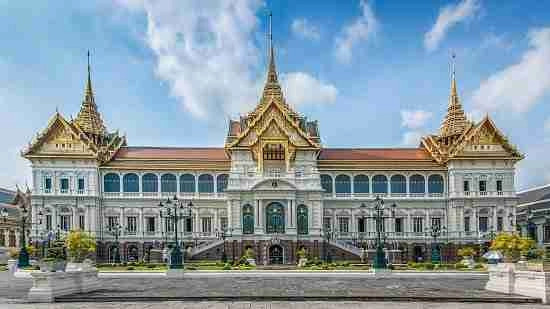 If you are interested to learn more about Thai history, you can go straight to Grand palace. The Grand Palace is probably the most famous attraction in Bangkok. The royal family no longer live here but was the home to the king for 150 years. During the tour of the Grand Palace you can walk around the grounds and enter open temples but can’t enter buildings. Another excellent thing about Bangkok is the affordable hotels that everyone can afford. They are still considered neat and clean, though it may be rare to find chain hotels here. However, it is not hard to find five-star hotels with rooftop pools. Most hotels are within reach from several bars and cafes, which offer vibrant city nightlife. But, it is still recommended to avoid walking along the road alone, as the crime rate is considerably average. Finally, There are still lots of places to visit, as you can browse around through the Google search to discover more. Never miss the unique means of transportation in the city as they are cheap and fascinating. But, beware of your belongings, particularly when you ride on a jam-packed bus. And that’s it for now! 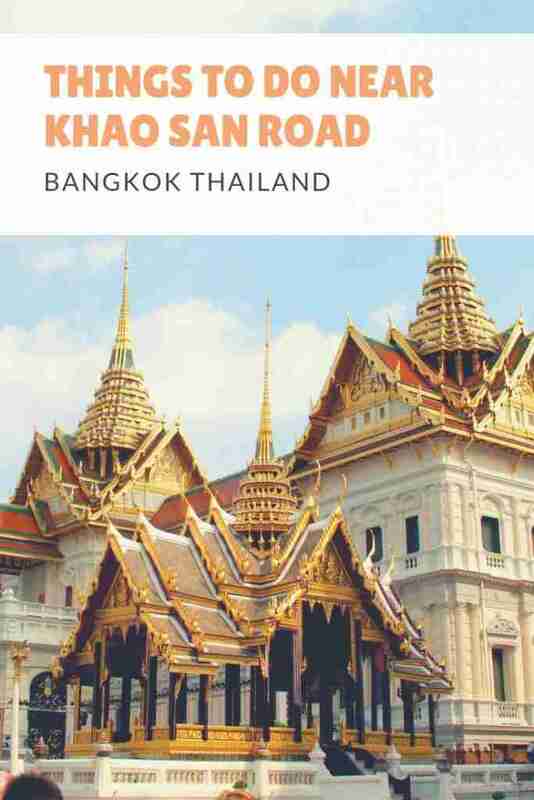 I’d love if this post on the things to do near Khao San Road Bangkok Thailand was helpful to you. Let me know if you have any questions and let me know if you go.